There was a fresh sell signal for Catalent Inc. stock this week. The recent rally has been put on hold with the emergence of a Bearish Engulfing signal. More selling pressure is expected to develop as the market degrades from the steep upward slope it has been trending on. This stock has been flirting with pushing Resistance for the past few months, but now it is set for a run at Support. It is too early to tell if this is a long-term Bearish reversal for CTLT. However, for the short term trend, it is most likely going to remain under pressure for a few trading sessions at the very least. The first downside target is the 38.28 Support level. This is the Key pivot for this stock. Trading below here has the market on edge set to make a beeline for the 36.73 Low. Do not fight a break under here. Selling bias should build as CTLT presses a Bearish correction to fill the open downside Gap that has been lingering. “All Gaps Get Filled Eventually” goes the adage. If so, the stock will have more than a 10% correction as it sinks back towards the 35.50 price level. For longer-term investors of CLTL the market should hold in the extended sell-off area, but it may be an indication that this stock is set for a longer term sideways to lower trade. Short term it is a high probable Short Trade scenario with the potential to deliver a 10% plus slide off of the recent short-term High of 40.96. If this sell-off manifests a slide all the way back to these lower extremes it will not just negate the recent Bullish short-term trend, but also the longer term trend higher. This Break may not be a buying opportunity, but rather an opportunity to take profits and prevent further losses by staying Long. Wait for a Buy signal before jumping back into CTLT. The technical forecast for this market is not that positive for the longer term. Accessing this code requires registration. 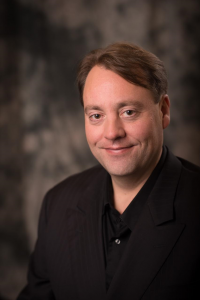 Theodore Kekstadt is the Founder and President of Forex Trading Unlocked Inc., and a veteran trader of the Futures, Forex, and Equities markets. The thoughts and opinions in this blog are those of the author and do not represent an investment recommendation by CloudQuant or Kershner Trading Group. 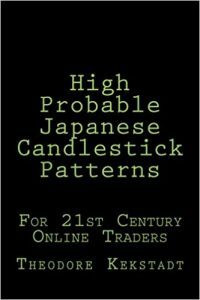 CloudQuant provides Mr. Kekstadt’s posts solely to demonstrate High Probable Japenese Candlestick Patterns that can be used by crowd researchers in their efforts to develop algorithmic trading strategies.